Front unit of front back duplex. Very Practical floor plan allows for a 2 bdrm suite up & a 2 bdrm suite down (1 bdrm & den) each with their own separate entrance, granite counters, laminate flooring, Jacuzzi tub, large fenced yard,mountain view, 9' ceilings, Gas F/P, 1 car garage with lane access. 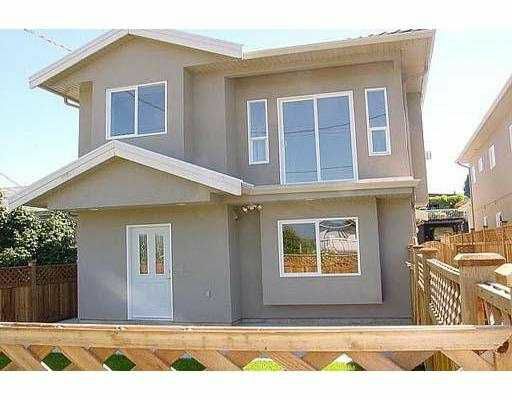 Perfect for smart young family, no mtnce fees plus rental income as well. Open house Saturday July 25/09 3:00-5:00PM & Sunday July 26/09 2:00-4:00PM.